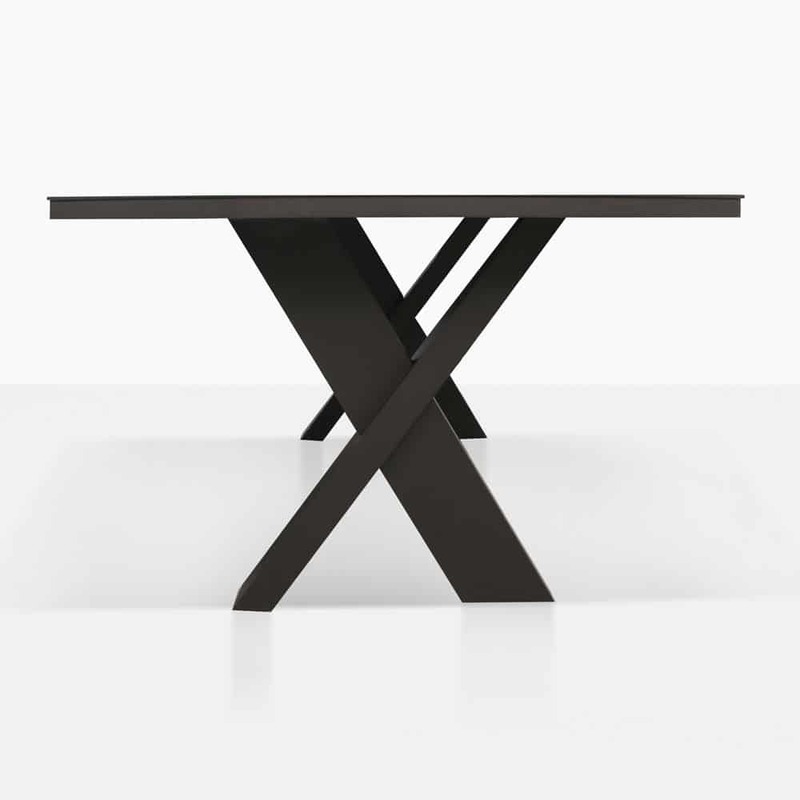 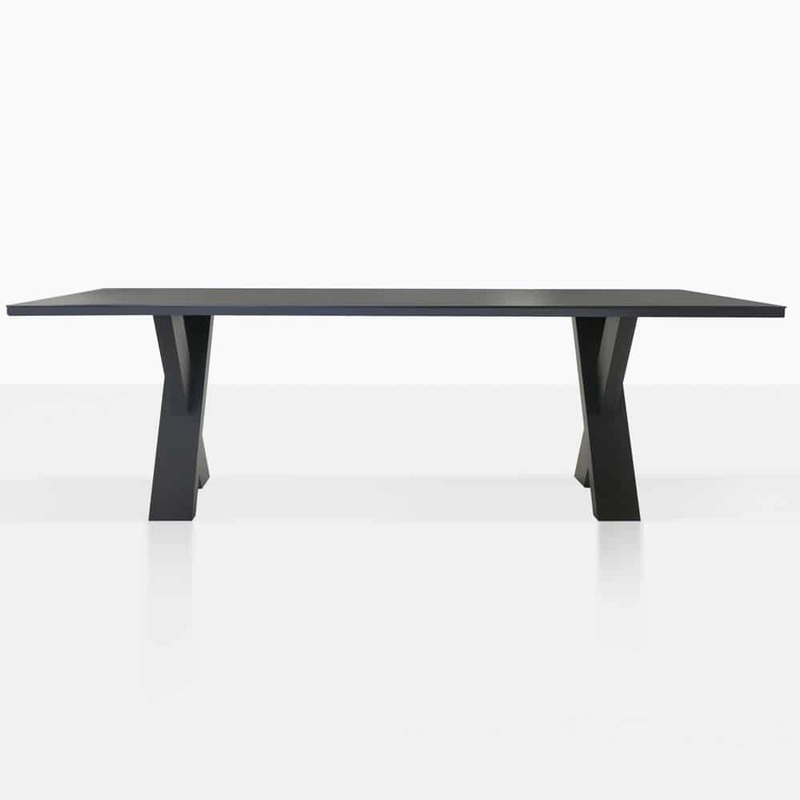 The Rudi Outdoor Dining Table has a striking and dramatic presence that is absolutely stunning. 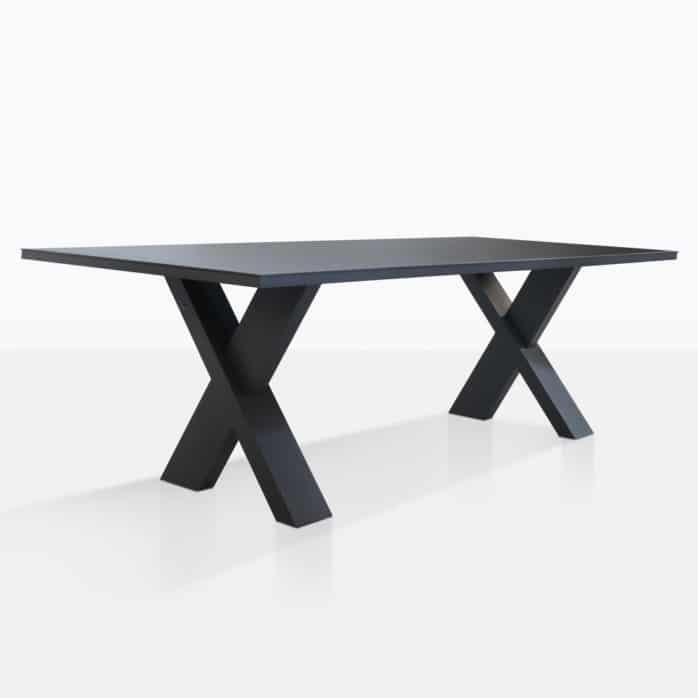 It is constructed with dark charcoal powder coated aluminum which makes it durable and strong. 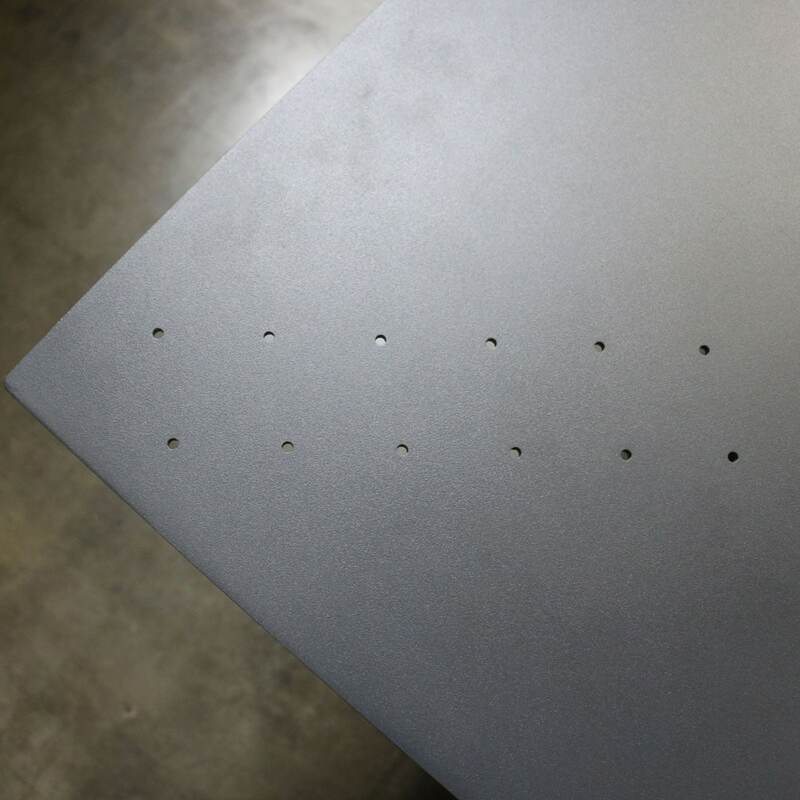 The tabletop features small holes in a crisscross pattern, these give the table some texture as well as functioning as a way for water to drain.